Ecobank Tanzania (ETZ) exclusively sponsored a training seminar on “International Trade Finance” in Dar Es Salaam for about 20 of its existing and prospective customers in the SME, regional corporate, regional business and multinationals space. Straddled by 8 landlocked countries (Zambia, Uganda, Rwanda, Burundi, Malawi, Zimbabwe, South Sudan and the Democratic Republic of Congo) which all depend on its port to varying degrees; Tanzania is the natural trade gateway to the EAC and SADC regions of Africa. By virtue of its mineral endowments (gold, tanzanite, diamond etc. ), the production of agricultural export crops (coffee, cashew, tea etc.) and the imminent production of gas, Tanzania is poised to substantially increase exports to other African countries and the rest of world. With over 26 years cumulative experience of operating across 36 African countries linking businesses, individuals and governments, the Ecobank Group via its local subsidiary Ecobank Tanzania (ETZ) exclusively sponsored a training seminar on “International Trade Finance” in Dar Es Salaam, for about 20 of its existing and prospective customers in the SME, regional corporate, regional business and multinationals space. The training seminar organized with resource persons from the renowned German bank, BHF and the Ecobank Group was contextualized to the Tanzanian and African environments. Participating companies in the seminar included Mile Solution, Bakhresa, Mohammed Enterprises Limited (METL), HS Impex, Petroleum Importation Coordinator (PIC), ACE Global Depository, A.A Trans Ltd., Super Telecom Ltd, ARM Cement (Rhino Cement), Empress Communications and Sunda (T) Investment. “We understand and appreciate the need for increased financial education and information sharing to promote Tanzania’s participation, awareness and subsequent financial empowerment to favorably participate in and know their rights in international trade. We strongly believe that increased awareness will accelerate the opening up of Tanzanian businesses to markets in the rest of Africa and the world.” Says Mr. Nicholas Cofie, the Ecobank Group Trade Finance Expert. “Behind every successful player in the trade business there is a conscious and dedicated bank. At Ecobank, we are differentiated by our ability to provide customers with end-to-end trade finance solutions which uniquely leverage the Group’s unparalleled footprint across Africa,” said Mr. Enoch Osei-Safo, Managing Director of Ecobank Tanzania. “With this trade seminar initiative, Ecobank has raised the bar for the banking industry as it actualizes its strategy for bundling the provision of trade finance solutions with advisory services to create enhanced value for our growing army of customers in the EAC and SADC regions” added Osei-Safo. The feedback from the companies who participated in the training seminar was very encouraging. “After years of engaging in international business, it comes as a welcome relief to have this training. I am now learning the A to Z of international trade thanks to Ecobank,” says Mr. Fadhili Sembago Managing Director at Mile Solutions. “Because of previous limited knowledge of some international trade practices, we have hesitated in engaging in certain trade transactions thus constraining the growth of our business in a regional market which is an oasis of opportunities. Now with the knowledge and insights gained from this training, I can confidently walk the trade talk like Ecobank does. 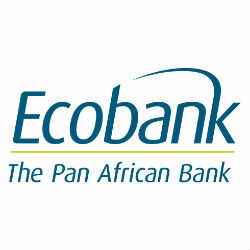 True to their word, Ecobank Inakuwezesha!” added Ms. Punita Shah from METL. Participants of the program were awarded with certificates with the logos of both Ecobank Tanzania and BHF bank. Established about 4 years ago in Tanzania, ECOBANK Tanzania (ETZ) today boasts of 8 branches spanning Dar es Salaam, Arusha, Mwanza and Mtwara. ETZ intoruced a number of initiatives aimed at financial inclusion in Tanzania where the bank has redefined the nature of trade relationship between banks and their customers. In charting this course, ETZ will draw on the pedigree of the Ecobank Group in trade finance, which saw the Group and some subsidiaries winning some notable awards in 2013.